Summer is coming and so are the eroctic dreams of that perfect beach body—sculpted, chiseled, glistening and moist (yeah, we said it). The only problem, however, is that last winter’s food baby is still hibernating inside your little fupa. And those terrible eating habits from a few months ago are making life a living hell now. Still, few culinary joys outweigh the deliciousness of a good food coma. Here are six songs to listen to for when you slip into a food coma and slink deep down into it. Pink Floyd’s “Comfortably Numb” is where you should always start out when compiling a food coma soundtrack, mainly because the intro on the album version starts off with the phrase, “Are you feeling okay?” David Gilmour is concerned about you, and to be honest, you should be very grateful. Working out is motivationally challenging and physically awful, but snacks are the no-brainer cure to a failed workout sesh. Snacks are great until you can’t breathe. And listening to this track off The Wall is a mellow reminder of that oddly comforting feeling of being so full that you don’t want to move. This track is a no brainer. It is a classic. It is an easy listen. It reminds you, in the nicest way possible, that you just ate your weight in chips and guac again and you kind of regret it. But it also reminds you that it feels good, too. It’s a different kind of good—the kind of good that ends with you flirting with a Chipotle bowl in a red leather pant suit. This track is perfect for this next stage of a food coma. It’s for when you really realize you’ve made a grave mistake, but can’t go back. The panic has settled into your system while the existential dread gets nice and cozy in there. You drink a ton of water and then regret that bloated feeling. Luckily, the pouty, dream-like sounds of “Sad Girl” are a good counterpoint to the incoming thunderstorm in your abdomen. Tori Amos’s could be singing about a very deep emotional earthquake rumbling at the bottom of her soul, but when listening in the context of a burgeoning food coma, it’s just not the time to worry about that, okay, Tori?! This is the time to take everything out of context and make it about you, the food coma victim. You have little earthquakes in your belly and they are about a 6.9. Depending on how long your food coma lasts, it might be worth listening to the entire version of Mozart’s terrifyingly genius “Requiem in D.” It’s also understandable if you’re listening to the dramatic, hour-long work purely because it was on shuffle and you’re too bloated to get up and change it. There is nothing more fulfilling than that post-food coma poop. 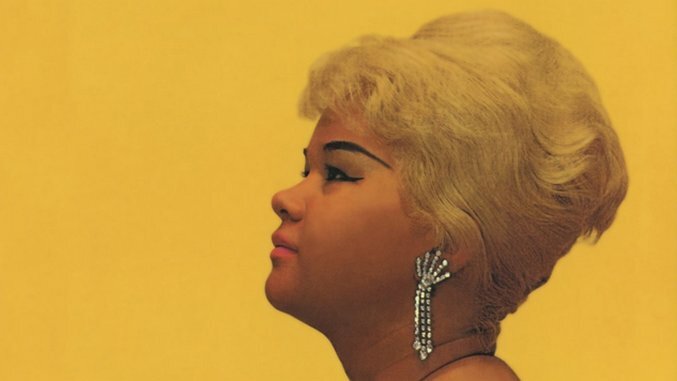 And when it happens, the world sings a song as beautiful as Etta James singing her classic work, “At Last.” Here’s hoping everything is as smooth and easy as her lyrical notions and velvety musical undertones.